Boots are a tool, and you already know that the right tool for the job makes life a lot easier. Boots make or break the workday. Safety regs mean they must meet certain requirements, but a safe boot isn’t always a comfortable one. What’s more, a great pair of boots isn’t defined the same way by every person. That’s why there’s no such thing as the best pair of work boots. The best depends on how they fit you and how they hold up to the work that you do. With that in mind, here are 5 of the highest rated work boots, and what makes them so popular among construction workers. All of them are safe, and each of them offers something a little different. The Deco Pro has a sporty look instead of the classic yellow that’s been popular in boots for generations. They’re sold as hiking boots, but have a steel toe, EH protection, and a mix of suede and nylon uppers with a breathable water-resistant membrane that help keeps feet dry. The molded EVA midsole and composite shank absorbs impact. Oil and slip resistance helps give you better traction. 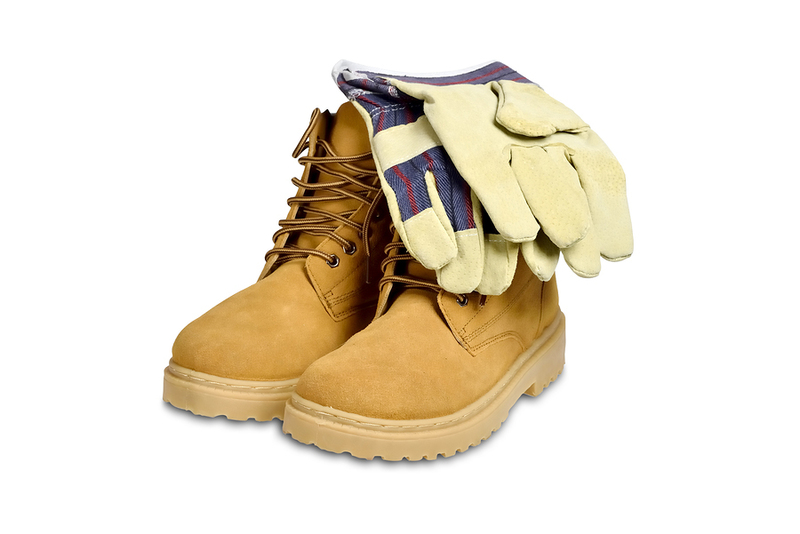 Always examine work boots for details such as rugged grommets and tight stitching. Timberland is known as a workhorse among work boots. And the Titan 26708 has a decades-long reputation as one of their most popular and broadly comfortable styles. One of the best-loved qualities about these boots is that there is virtually no break-in time, so no blisters or sore feet from day-1. Instead of steel, the 26708 has an aluminum alloy toe that’s lighter yet gives the same protection. The soles are resistant to oil, slips, and abrasion, and the soft leather uppers conform to your feet and ankles. Red Wing is another popular brand that keeps its reputation by offering high quality boots that perform well and hold up to daily wear. The Heritage Men’s Classic has a thick sole that’s ideal for walking on hard surfaces all day. One drawback to the Red Wing Men’s Classic is the time that it takes to break them in. You can expect about 2-3 weeks with at least a little discomfort. But after that, your boots will fit like they were made for you. Yet another familiar name in work boots is Wolverine. Their Raider 6″ Contour Welt boot has the feel of a sporty shoe and the safety and durability that you need in a work boot. Wolverine’s exclusive Multishox Comfort System gives you pressure point padding on the outside, and cushioning gel inside. The Raider is another boot that requires little or no break-in time. They’re flexible, waterproof, and resist slips, oil, and abrasion. 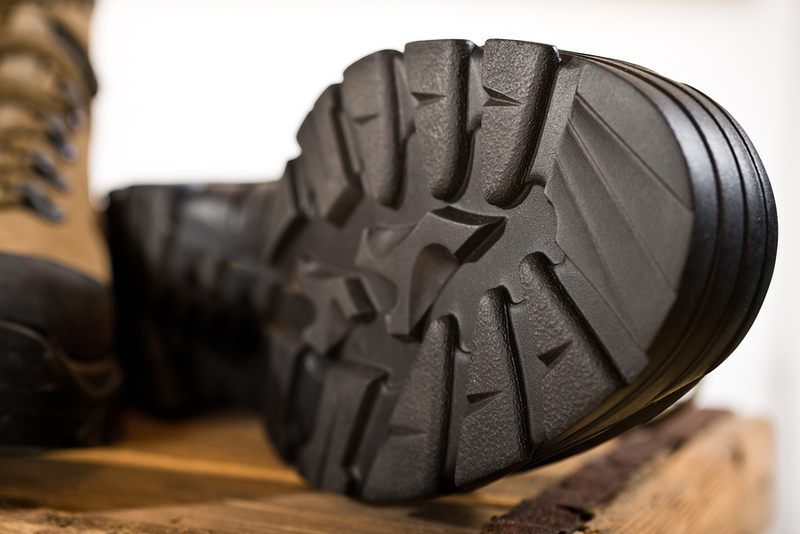 Slip-resistant soles mean a lower risk of workplace injury. 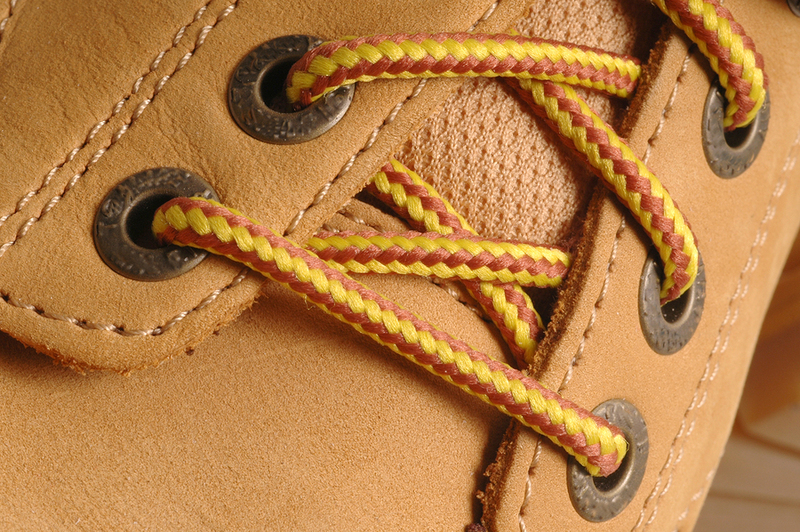 Wildly popular among outdoor enthusiasts, the Keen brand also builds fine work boots. Known for innovative design, the company applies that theory to the Men’s Tacoma Steel Toe for a boot that’s remarkably lightweight and has a roomy toe box. Keen Dry technology is waterproof and breathable, and the molded EVA midsole is strong but flexible. The non-marking soles are oil and slip resistant, and they can be resoled if they ever wear out. Do not expect that footwear which is too tight will stretch with wear. Have both feet measured when buying shoes. Feet normally differ in size. Buy shoes to fit the bigger foot. Buy shoes late in the afternoon when feet are likely to be swollen to their maximum size. Ask a doctor’s advice if properly fitting shoes are not available. Consider using shock-absorbing insoles where the job requires walking or standing on hard floors. The right boots really do make all the difference in your workday. They’re an investment in your job, just like any other tool. Whether you like the sporty look of a hiking boot or the classic comfort of a style that’s remained popular for years, there are so many well-made boots on the market today, you’re bound to find the right style for you. One more tool that makes life easier is the right education. And PDH Academy can help with that. We offer continuing education courses for the construction industry in a straightforward online environment. Click here to sign up now.